I was given Bunch of Eggs from our sponsor to use on my card. 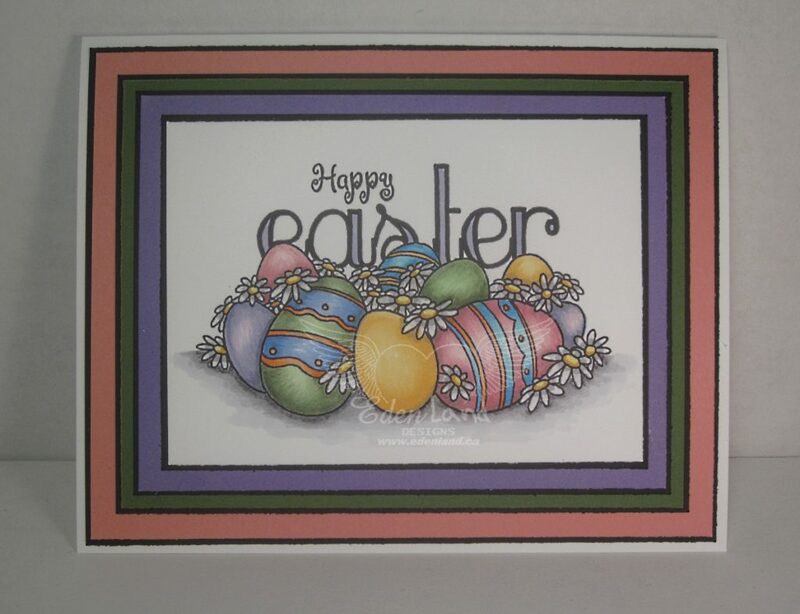 I merged it with an Easter sentiment on my computer before printing it off and coloring it with my Copic and SN markers. I wanted to keep the design of the card fairly simple, with having the sentiment and image all in one, so I decided to just go with the layers. I went through my scraps, and found different colors that coordinated with the image, and layered them all with black. I’m loving the clean look of this card!! Love the image and colors! Thank you for sharing it with us at Through the Craft Room Door. Your Easter card is beautiful and the coloring is amazing. Thank you, for joining us for the QKR Stampede challenge. A great card – thanks for joining us at a Gem of a Challenge.